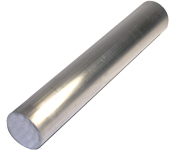 6061 aluminum round bar is heat treated and corrosion resistant. It is excellent for resisting moisture and is strong for it's light weight. It is easy to drill, machine and saw. 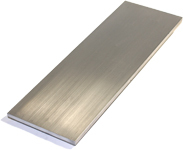 6061 aluminum flat bar is heat treated and corrosion resistant. It is excellent for resisting moisture and is strong for it's light weight. It is easy to drill, machine and saw. Uses include braces, brackets, frames, base plates and ornamental work.